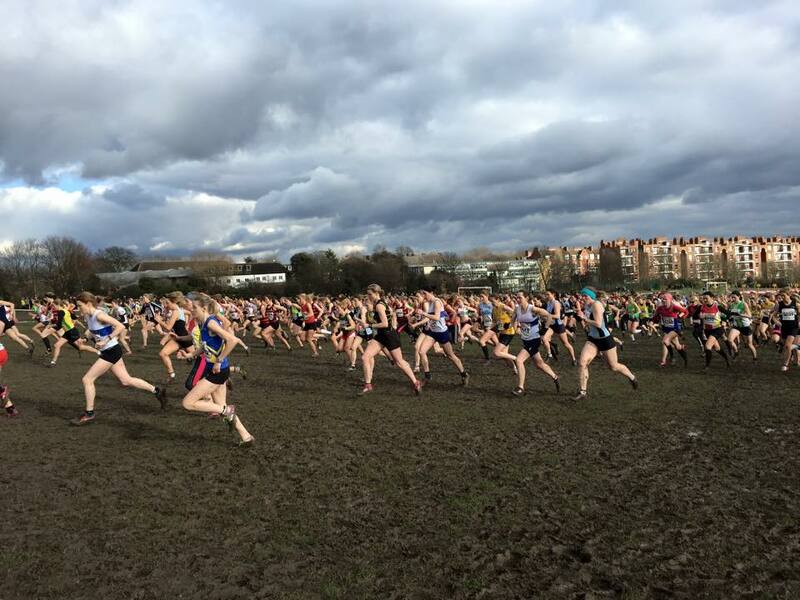 Despite a very wet and muddy course around Hampstead Heath (London), Louise Kelly reminisces on a fabulous day at the National Cross Country Championships, Saturday, 21st February 2015. 4am I set my alarm for, thinking about why am I doing this? The answer to which was ‘It’s because you signed up for it Louise, being the idiot you are’. I had also been having second thoughts about running it due to making a sheer fool of myself, racing against some of the fastest ladies in the country but that rather loud runner voice in my head just kept shouting “It’s for the experience!”. Eventually the morning came and I found myself up before the first of three alarms sounded. I quickly dressed in my kit, ate some breakfast (cornflakes at four in the morning tastes an awful lot like cardboard) and was in a taxi heading to the train station to meet up with everyone else. Upon arrival my heart bounced for joy at the sight of both coffee shops being open. A latte was soon ordered and devoured like I’d been denied liquids for days. Soon the rest of the folks joined us and we were altogether, high on caffeine and ready to get going. Although some of us didn’t need any due to bouncing around like Tigger, that’s right Simon Kristiansen, I’m talking about you. Once on board and seated, talk ensued about various topics. Which tube station to get off at, James Dunce‘s over attachment to his bucket, which room did the guys want to go in – the old folks room, the party room or the middle one – and who was getting up at half seven in the morning for a run. Not this girl that’s for sure. Time past quickly and we found ourselves at King’s Cross Station and walking to our accommodation for the night to dispense of bags. Eventually we made our way to Parliament Hill and after finding everyone else we started to make final preparations of mad dashes to the toilets, scrambling about for safety pins and securing our timing chips to ankles as well as noticing that the finish was down hill. Soon the tannoy announced that the senior women would be setting off at 14:20 and a three minute warning would be issued so runners could madly dash for the start line. That was our queue to get going, running to the start line and warming up with some technical drills before lining up with a false sense of security thinking I was save in the knowledge knowing what was involved having ran the parkrun here several months earlier. 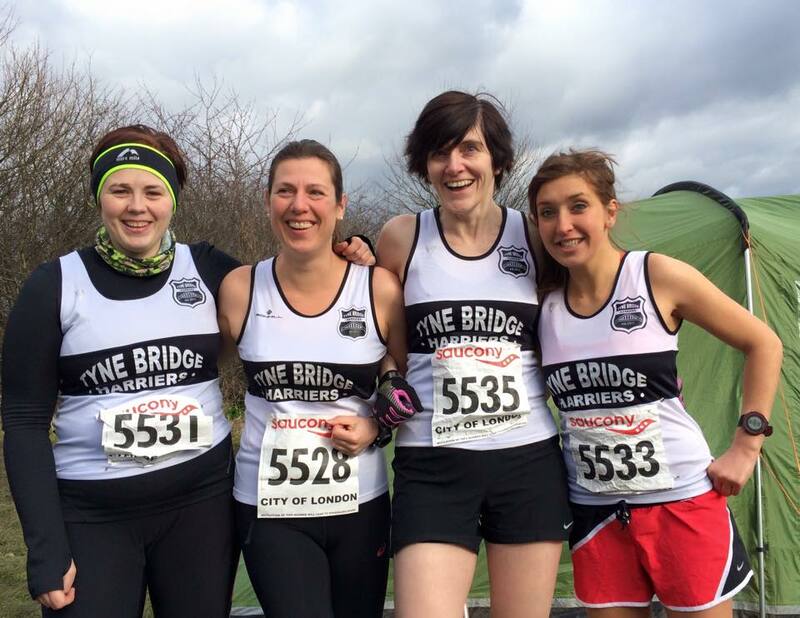 Some of the TBH Ladies (l-r: Louise, Charlotte, Lindsay and Sophie). Now the thing with a downhill finish is that the start is obviously going to be uphill and boy was it a killer of a uphill! 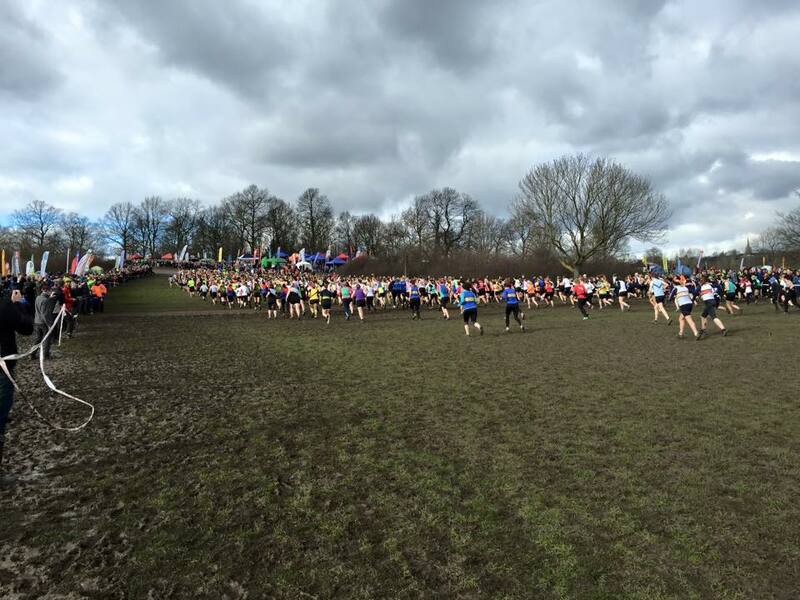 I noted that several runners had already resorted to walking up the exceptionally muddy slope. However I managed to pull myself up, be it at a snail’s pace and the first downhill was embraced with joy followed by a turn, in which I very nearly lost my shoe. 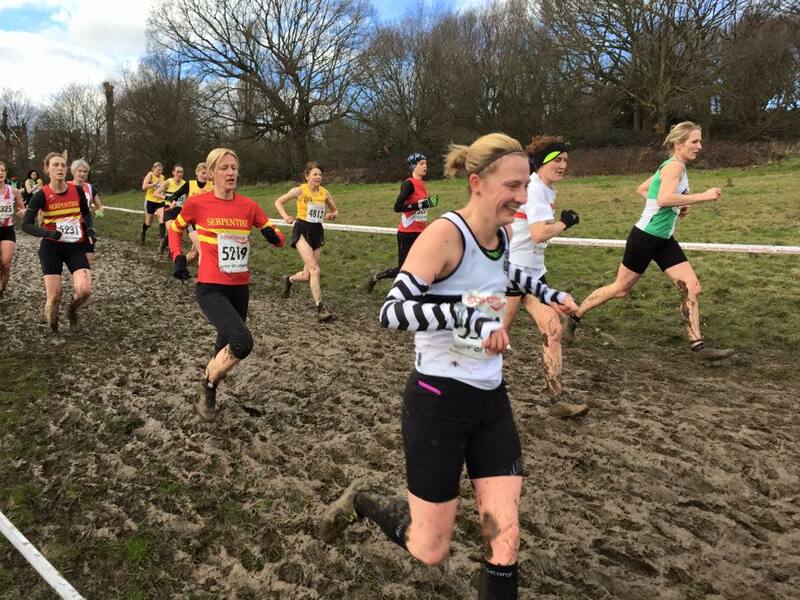 Once that was secured back on I began my slow progress round the first lap, where I had to walk up the hills due to the basic fact that my feet where reluctant to leave the embrace of the mud and had to be pulled out with some force. Encouragement from Kev Cheetham and Annette Kelly was both welcomed and needed at various points on the course! Soon the end of the first lap was in sight and the shout outs from Sara James, Stephanie Mcfarlane, and Hannah Todd (Matt Walker‘s partner) were heard. As I trotted along, the TBH boys cheered me on as they warmed up, while all I could say was ‘Can I stop now? !’ but alas I had another longer lap to run! Izzy Knox racing in tough conditions. As I started the second lap, I could hear the tannoy announcing the leaders of the race coming in! Those are some speedy ladies! 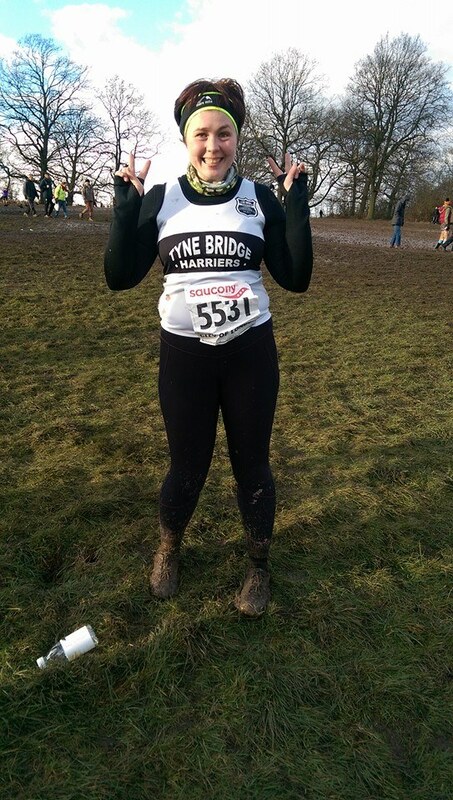 On I went with a splodge, a squelch and a splurge (thank the heavens I wore spikes!) making my slow journey around the course being cheered on by fellow runners from the North East, the marshal’s and the general public. Then it happened. One spectator shouted out that I could say I had 2000 men chasing after me this weekend! This meant one thing. The men were running and I was going to be running with them! Now watching the senior men run Cross Country is a spectacular sight in itself. Having them run past you at a neck-breaking speed is both terrifying and inspirational at the same time. I could feel myself quicken up not stopping to walk even on the uphill stretches. Soon I had the likes of Tony Carter pass me, looking like he was out for a stroll, saying ‘Come on Louise!’ and on they passed with several cheering me on despite running themselves – James (minus his bucket), Chris Graham, John Hurst, Cees Van Der Land, Simon Pryde, Andy Symthe, Dave Moir, Alasdair Blain – the list goes on! After being dragged along with the boys for the second half of the last lap, I approached the split off for the finish and having successfully managed to make my way on to the left hand side I was able to leave the stampede of men and continue on my own towards the finish. Finally it was over! I could collapse into a fit of giggles on a seat while my chip was removed and off I went to join my fellow ladies up at the tent with the biggest smile on my face! A very happy Louise post-race. Well done Louise. How many other runners can say they’ve competed in – and finished – a National Cross Country Championship race!! Especially around the legendary Parliament Hill course. 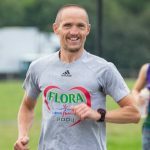 One of the most satisfying aspects from the weekend – which you picked up in your report – was the inclusion of runners from the five training groups, all competing and supporting each other, even whilst they were racing themselves. A terrific day. Great work Louise & all Tbh ladies. Mud + miles = smiles! Well written and well run Louise. The biggest victory is taking part in such a challenging event!